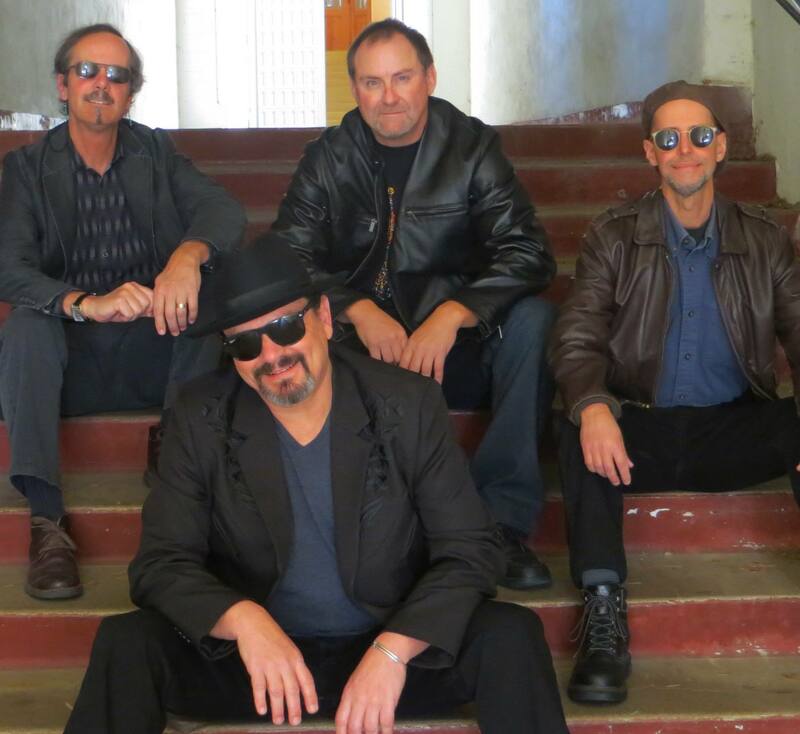 Paradise Kings WIN the Santa Barbara Blues Society battle of the bands 2017!! 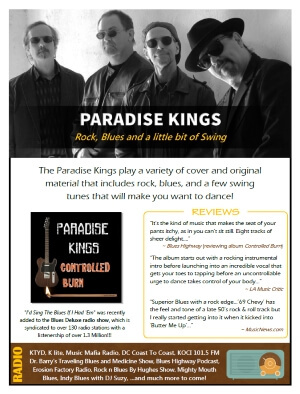 The Paradise Kings play a variety of cover and original material that includes rock, blues, and a few swing tunes that will make you want to dance! 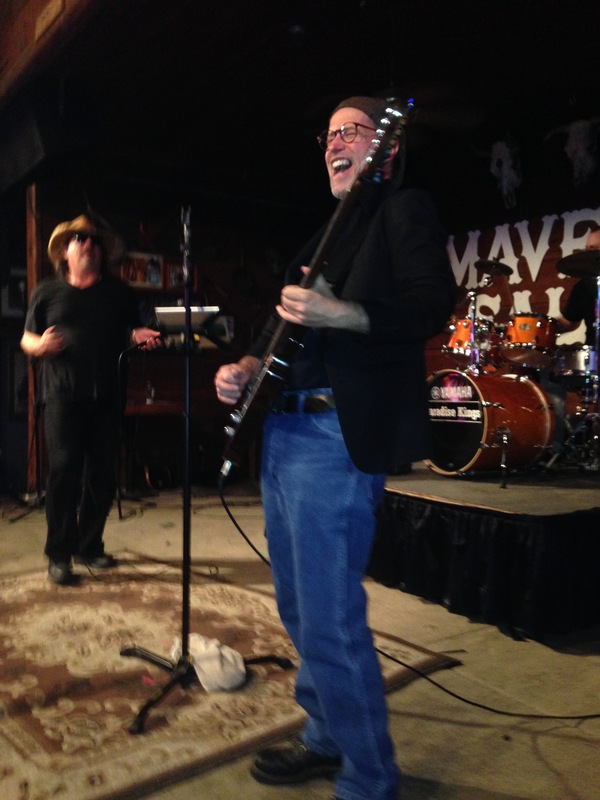 “I’d Sing The Blues If I Had ‘Em” was recently added to the Blues Deluxe radio show, which is syndicated to over 130 radio stations with a listenership of over 1.3 Million!!! 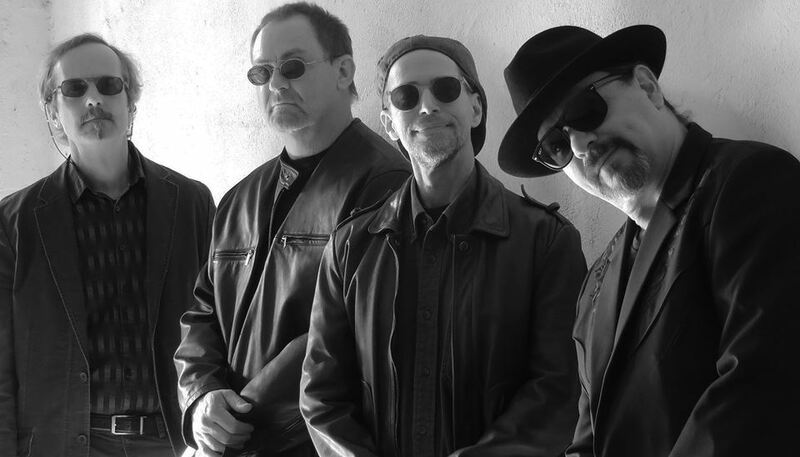 The Santa Barbara based band has been performing for many years and is currently booking gigs for wineries, corporate events, local venues, private house parties, festivals, opening acts for blues shows and more.